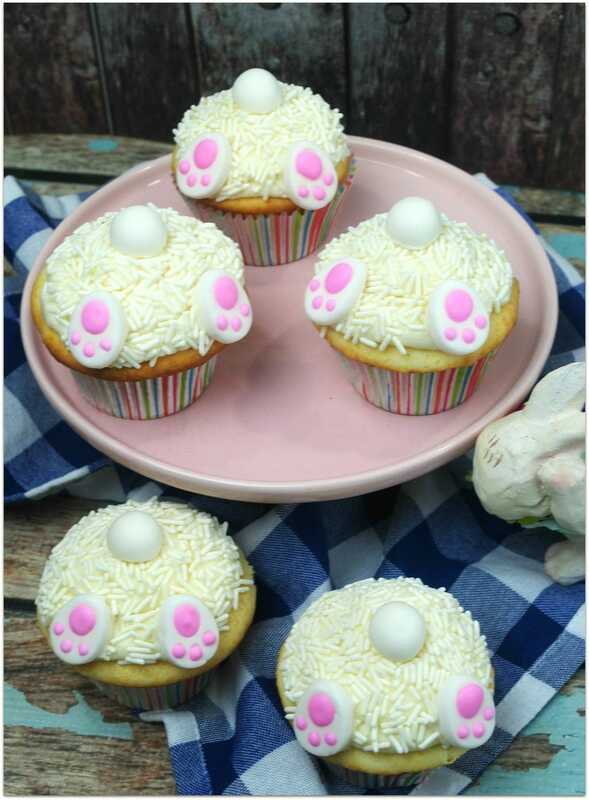 These Easter Bunny Cake Cupcakes are so adorable! 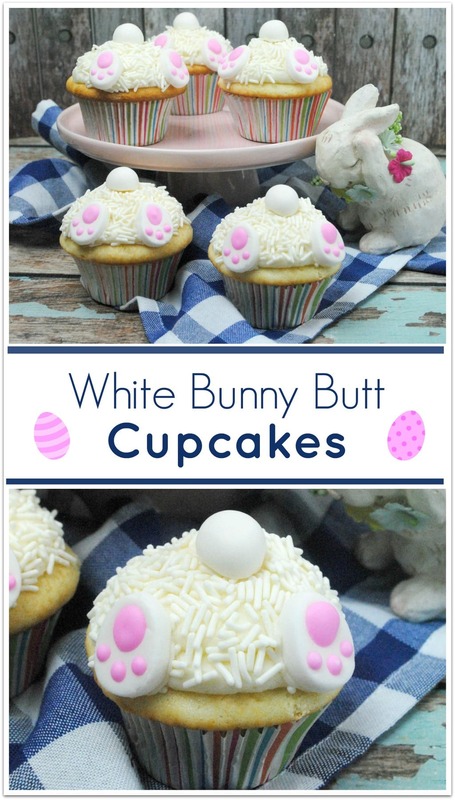 These Easter Bunny Cake Cupcakes are so stinkin’ cute. Though I might prefer a cake if I’m making something for an elegant gathering of adults, cupcakes are always a better idea when it’s a family event or a party where kids will be present. Cupcakes are easier to eat, less mess, and you don’t even need a fork! This adorable little dessert is actually easy to make! Don’t you just love an easy recipe? Can you imagine the faces of the kids in the classroom when you deliver these Easter Bunny Cake Cupcakes to that Easter party? Come back and let me know if you made this recipe! I’d love to see your creation! Add the sugar, almond extract and vanilla to the butter while continuing to beat until well combined. Add egg whites, then add eggs one at a time, beating well after each addition. Alternate adding the flour mixture and buttermilk to the butter mixture, beating on low speed until everything is blended together. 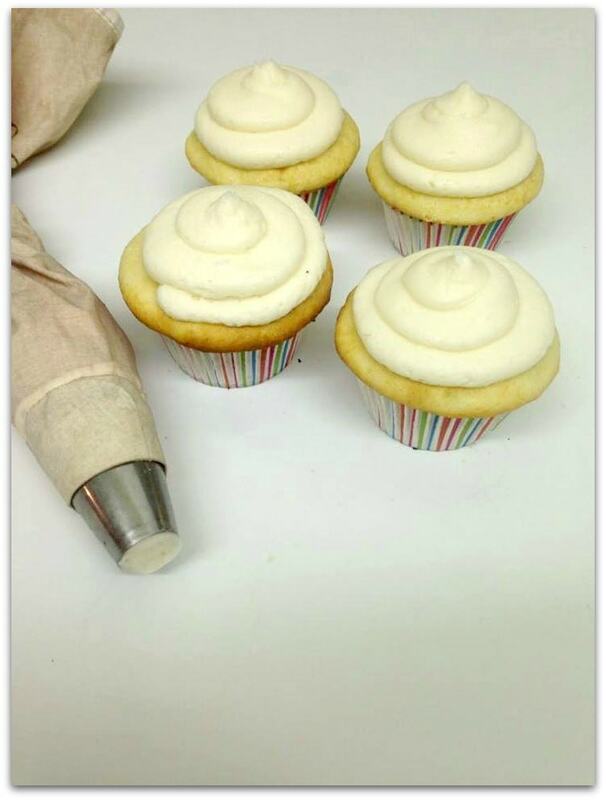 Scoop the batter into the lined cupcake tins until two thirds full. If it doesn’t look creamy, add several drops of the heavy whipping cream until it does. Add more powdered sugar 1/2 C at a time…. mix well. 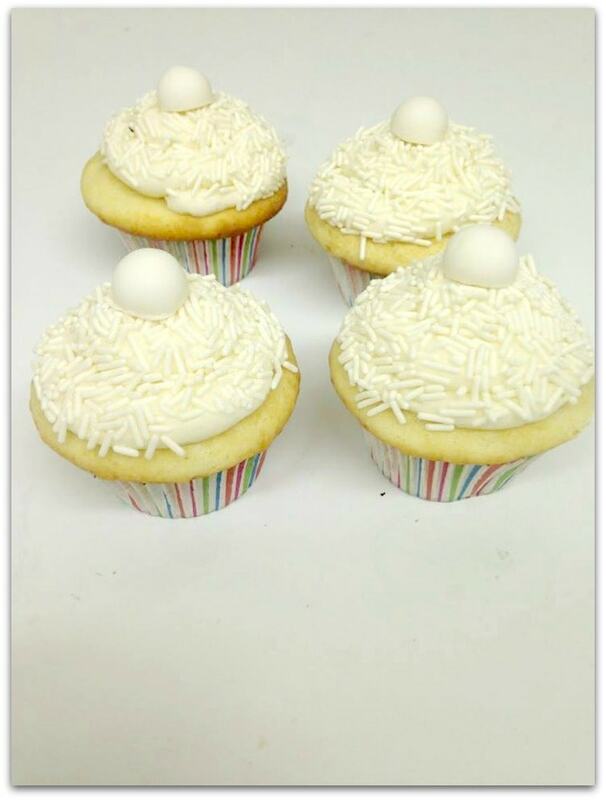 Cover the top of the frosted cupcake with white sprinkles. Add the bunny feet on the edge of the cupcake positioning them on the lower half of the cupcake or as outlined in the picture. 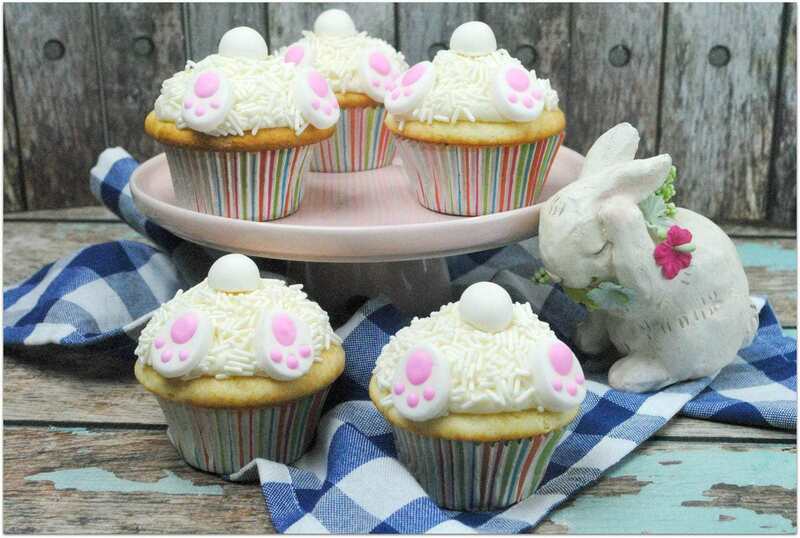 These Easter bunny cake cupcakes will be a huge hit at any gathering. Looking for more easy Easter desserts? I’ve also got adorable Bunny Cupcakes on grass! These would be so cute right in an Easter basket! And here’s a roundup of 10 adorable Easter cupcakes and 10 fun Easter Crafts! These are so cute and look delicious too!!!! Thanks, Melanie! Appreciate you visiting and taking time to comment! Aw, thank you Nancy! I appreciate you stopping by and taking the time to comment! What did you use for the feet and tail? I linked to it, Julie. It was there in the directions, but I added a link. I guess Wilton doesn’t have the tails anymore, but you could do that with icing. The feet are the most important part. I also linked to a company I hadn’t seen before that has the set. If you get it, please let me know how it is. I might order, too. Thanks so much! For some reason I’m not able to get the directions. Can u to me where to get the feet. They are so cute. Love them! Just click on the link, Fran. I linked to the feet or the set on Amazon to make it easier! Let me know how they turn out!